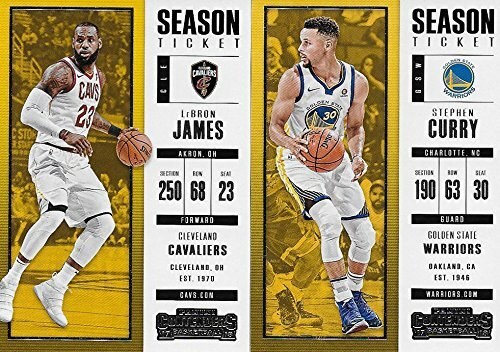 This is the brand new 2017 / 2018 Panini Contenders NBA basketball series complete mint basic 100 card hand collated set; it was never issued in factory form. LOADED with stars including Lebron James, Stephen Curry, Blake Griffin, Kevin Durant, Kyrie Irving, Damian Lilliard, Chris Paul, James Harden, Giannis Antetokounmpo, Carmelo Anthony, Karl Anthony Towns, Kristaps Porzingis, Rusell Westbrook, Anthony Davis, Klay Thompson, Joel Embiid, Derrick Rose, Dwyane Wade and many others! NBA MVP Lebron James and the Cleveland Cavaliers are making a run at another NBA Championship! 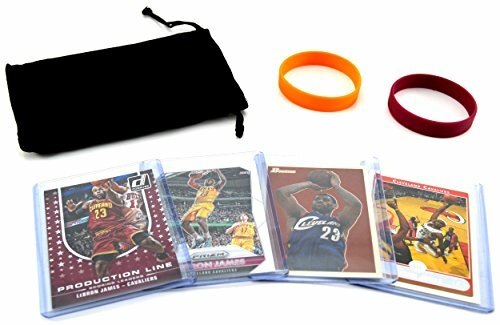 This lot of (4) 2004-2016 Lebron James basketball cards makes a great gift and collectors item for any Cavs or LBJ fan. All cards are in near mint condition and are shipped with each card in its own individual soft sleeve and top loader or semi-rigid protective sleeve. Most cards are in Cavs jersey, however there may be one card in Miami Heat Uniform. Comes with cloth gift bag and matching child size wristbands. 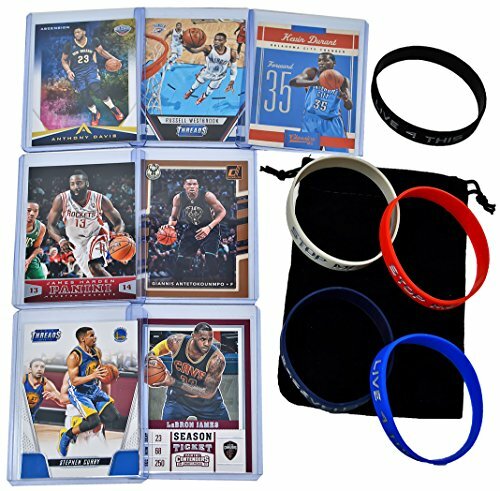 WRISTBANDS AND GIFT BAG INCLUDED ARE UNBRANDED GIFT ITEMS AND DO NOT CONTAIN ANY LEBRON, CAVALIERS, OR NBA RELATED BRANDING, LOGOS, OR TEXT. Great gift for youth athletes, your boy or girl will love them! No more searching for cards of the best players in the NBA, get one of each in this gift pack! 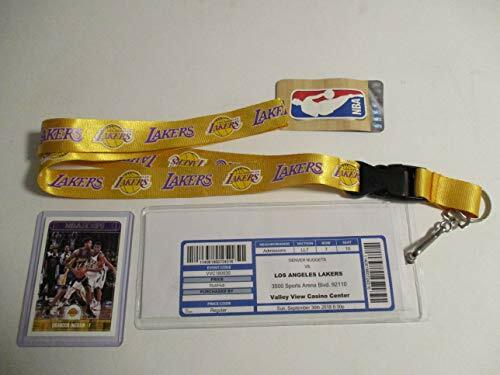 Makes a great gift and collectors item for the NBA fan. All cards are in near mint to mint condition and are shipped with each card in its own individual soft sleeve and top loader or semi-rigid sleeve. Exact card for each player varies, but you are guaranteed one cards of each player shown and mentioned. 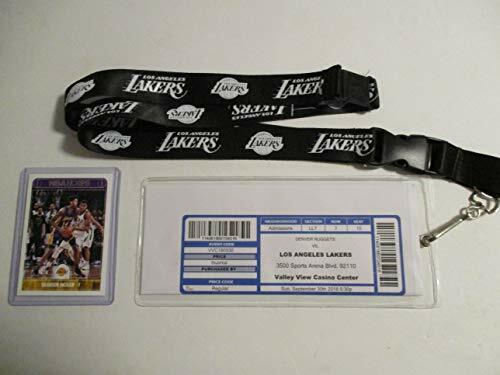 Comes with bonus gift bag and 5 wristbands, making it the perfect gift for the young fan. WRISTBANDS CONTAIN VARIOUS MOTIVATIONAL PHRASES COMMONLY USED AMONG ATHLETES. 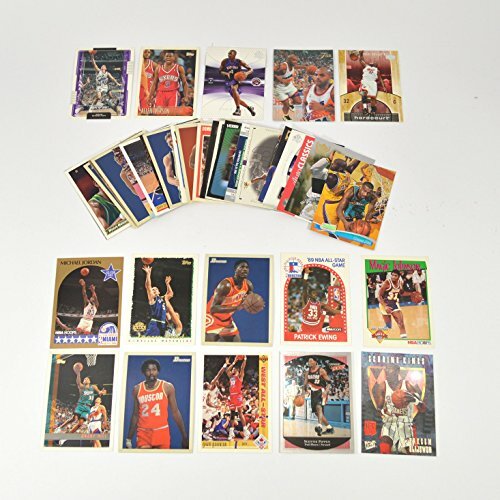 Cards from the top players of the Golden State Warriors, Cleveland Cavaliers, Milwaukee Bucks, Houston Rockets, Oklahoma City Thunder, and New Orleans Pelicans. 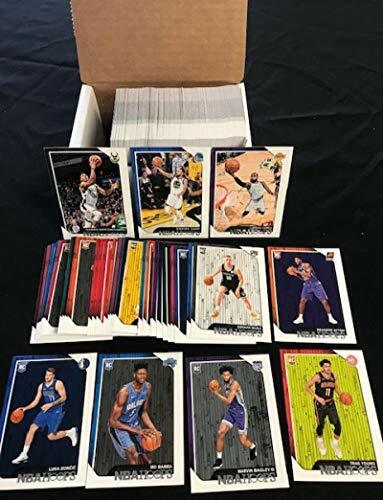 This is the 2008 / 2009 Upper Deck Basketball Series complete mint basic 200 card hand collated set; it was never issued in factory form. 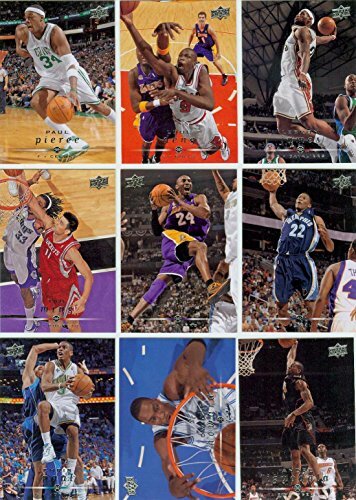 Loaded with stars including Lebron James, Kobe Bryant, Yao Ming, Tim Duncan, Vince Carter, Shaquille O'Neal, Dirk Nowitzki, Kevin Garnett, Allen Iverson, Carmelo Anthony, Dwayne Wade, Grant Hill, Brandon Roy, Chris Paul, Greg Oden, Kevin Durant and many others. 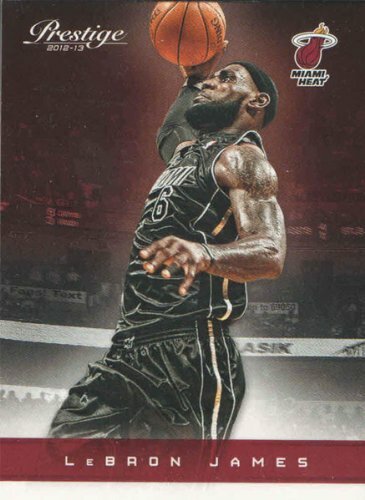 Lebron James 2012 / 2013 Panini Prestige Basketball Series Mint Card #79, Picturing This Miami Heat Superstar in His Black Jersey! Brand new, great looking card shipped in a protective holder and mailer so your card arrives safely. Looking for more Lebron James Player Card similar ideas? Try to explore these searches: 2' Z-Select 4000d Label, Animated Christmas Snow, and Acorn Candle. Look at latest related video about Lebron James Player Card. Shopwizion.com is the smartest way for online shopping: compare prices of leading online shops for best deals around the web. Don't miss TOP Lebron James Player Card deals, updated daily.